MemoryScale: Adaptive Learning for School, Work, and Life. Know More. 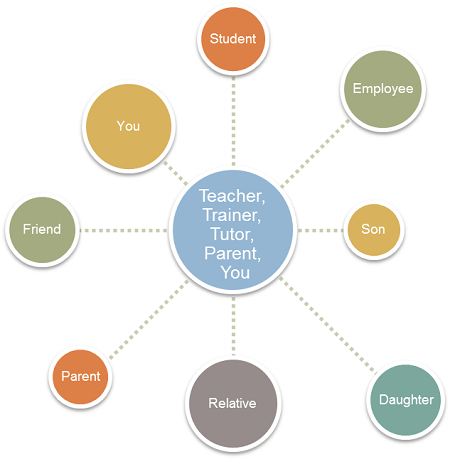 Multi-user cloud learning platform that adapts as you or your students learn. Improve Comprehension and Recall with MemoryScale. MemoryScale is an adaptive, cloud-based learning application that simplifies and automates the process of creating, scheduling, distributing, and tracking learning and memory plans. With MemoryScale, you define personalized memory plans for up to 12 learners, 8 courses, 16 topics, and 8,000 facts for free. Lessons recur at intervals you define to accommodate each individual's lifestyle and learning objectives. MemoryScale adaptively optimizes lessons as students learn by prioritizing the most-challenging facts and concepts while deemphasizing those that are well understood. Real-time discussion fora and analytics round out MemoryScale’s capabilities and further enhance the learning experience for you or those you teach. Teachers and Tutors: Build a reusable curriculum of topics and facts tailored to your style of teaching, and use MemoryScale to supplement live instruction with scheduled repetition to build long-term memory and comprehension among your students. Parents: Whether home schooling or helping your kids excel in school, develop personalized memorycasts so your kids can study at their own pace throughout the school year, while keeping concepts fresh over the summer months. Relatives: If you have aging or forgetful relatives, use MemoryScale to send recurring memorycasts of things they should remember, such as names and faces, dates, phone numbers, addresses, and more, so these facts stay fresh in their minds. Students: Use MemoryScale to excel in school by developing memorycasts for yourself or your study group to instill important academic concepts. Study for entry exams, such as the SSAT, SAT, GMAT, LSAT, GRE, and others by memorizing vocabulary, math, grammar, and other exam subjects. Professionals: Create customized memorycasts to keep you and your coworkers or employees apprised of important information about your company, industry, and profession. Develop new knowledge and skills to improve performance and advance your career. Professional Instructors: If you provide professional training, such as certification programs or specialized skills, MemoryScale can help to instill key facts and concepts among your trainees before, while, and after training is delivered. You: Use MemoryScale to learn new topics, such as geography, a language, history, sports trivia - virtually any topic of interest. MemoryScale also can deliver daily thoughts and reminders that are important to you, such as inspirational quotes or religious sermons.